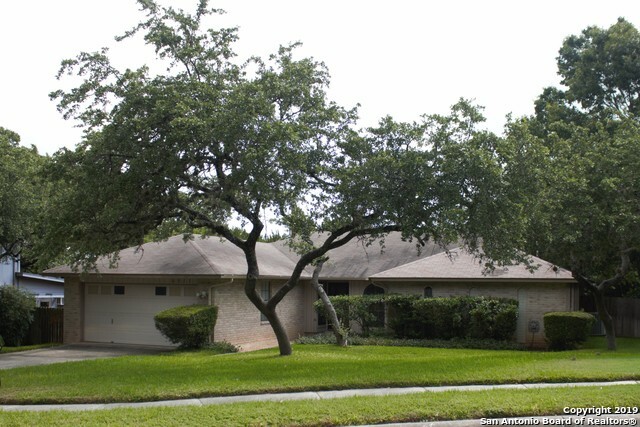 All Fox Run homes currently listed for sale in San Antonio as of 04/25/2019 are shown below. You can change the search criteria at any time by pressing the 'Change Search' button below. "OWNER FINANCING! IF YOU SEE THIS PROPERTY ONLINE CALL FOR AVAILABILITY. OWNER FINANCING! Imagine owning a like-new home that borders a 96-acre park! This rebuilt and renovated home features a large living room and separate dining room. The master retreat faces the park and boast 2 walk-in closets and a double vanity. New roof, electrical, plumbing, and appliances. Easy access to major roads makes this the perfect home for you! OWNER FINANCING!" "Spacious home in Fox Run w lovely cathedral ceilings that will wow you! Home boasts fresh paint throughout, freshly steamed carpets, new Entry floors. Enjoy entertaining in 2 large grand living areas w a floor to ceiling brick fireplace & wet bar! Spacious Kitchen offers lots of counter space and storage! 4th Bedroom great for Study/Office! Natural light floods the home as you navigate to the private backyard oasis featuring a huge covered patio, deck, mature trees & a crystal clear pool!" "Fox Run Subdivision - Beautiful 4 bedroom 2 bath home that has been well maintained. Master has separate sitting area with separate entrance. Cathedral ceiling in family room with gas fireplace. Bathroom has been updated from tub to shower-stall with bench seat and grab handles. Ramp access from garage into house. Nice covered patio. Yard with mature trees and sprinkler system, with drip irrigation in garden/flower beds. Easy access to Hwy 1604, shopping and dining. Elementary school located in"